The advantages and disadvantages of metal roofs are clear for most residential and commercial homeowners. They enjoy plenty of perks but have to put up with some limitations. Indeed, no roofing material is perfect. In reality, most property owners have to contend with the limitations of each one. However, credit where it is due, all roofing materials have unique advantages as well in terms of durability, longevity, and cost. Metal roofs are stylish. They won’t look your residential crown have an industrial curb appeal. In turn, this balances their value for many property owners and contractors. It pays to know everything about the roofing materials you are about to use. If you’re about to venture using metal roofs, keep its advantages and disadvantages at hand. Doing so will help you use the right roofing services in the future. 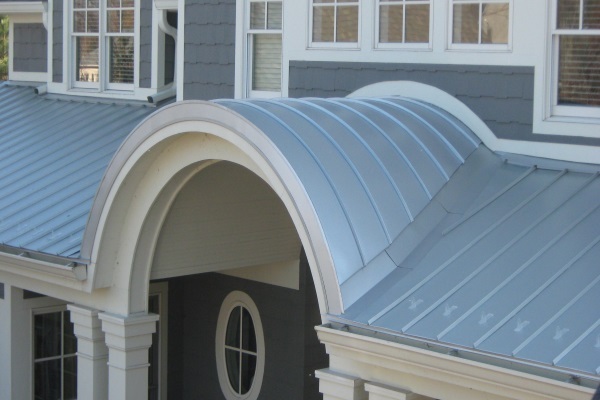 Manufacturers create metal roofs from zinc alloy, stainless steel, copper, aluminum, or tin. Each material varies in price and capability. For example, zinc alloy is median-priced compared to the others. However, it is extremely malleable. 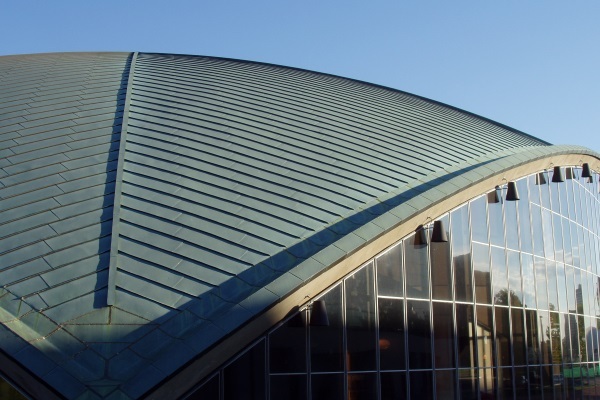 Consequently, this characteristic makes them the contractor’s primary choice for specialty metal roofing projects. Meanwhile, aluminum is useful for beachside homes. Metal corrodes in high salt environments. However, aluminum is the only metal incapable of corrosion. The most common choice for residential and commercial properties are stainless still and tin. They are the most affordable materials but still provide optimum property protection and the benefits of metal roofs. Contractors still regard metal roofs as one of the best materials to work with. Despite the disadvantages of metal roofs, they’re great investments for the following reasons. If properly installed, metal roofs can live up to 40-70 years. Correct metal roof installation involves providing proper allowance for material expansion and contraction. In addition, contractors must apply the special manufacturer roof coating effectively. The protective coat adds a layer of protection improving the capability of the roof. Aluminum has the longest possible lifespan compared to other materials. Its non-corrosive characteristic allows it to resist ponding. Additionally, its light weight places less duress against the foundations of the home. 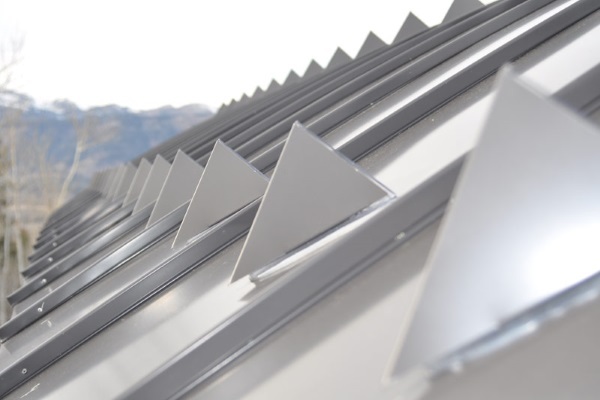 Metal roofs except for aluminum resist strong winds up to 140 miles per hour. Therefore, in the event of a rainstorm with strong winds, they will stay in place. Unlike shingles, metal roof will not displace gutter-clogging surface materials. In addition, they do not require frequent maintenance similar to single-ply membranes. Metal roofs only suffer dents from a single hailstorm. They could go by with minimal repairs and still outlast the next hailstorm. 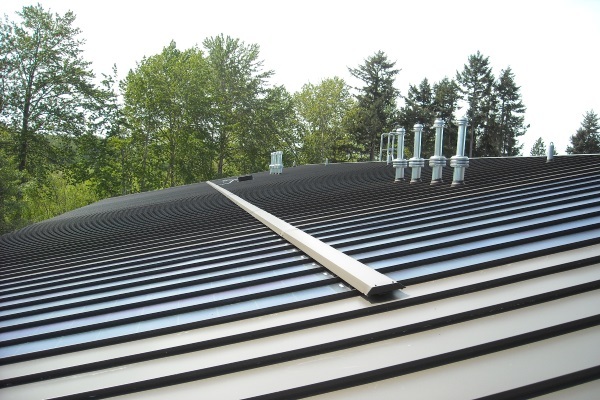 Metal roof systems are the easiest to repair and install. Metal is an excellent conductor of heat and electricity. However, this does not make them fire starters. In contrast, they’re great fire retardants. The non-combustible properties of metal help them prevent slow down fires. In addition, the fire-retarding special coating helps prevent lightning strikes from hitting properties. Metal roofs fall under the building code fire resistance requirements. These standards dictate the construction category of the infrastructure. Additionally, it urges manufacturers to create Class-A standard fireproof metal roofs. Most building codes have different fire resistance requirements from mild to strict depending on the location of the property. For example, South Californian properties in wildfire-prone zones will need Class A metal roofs to gain building approval. Metal roofs conduct heat. However, with the application of its manufacturer-made specialty coating, the second layer acts as coolant. Its primary function is to reflect solar radiant heat and UV rays. In addition, it guarantees the metal panels have no seam gap. In turn, it introduces better property insulation in the process. Better insulation means lowering the thermostat. Indeed, you will save lots of money with effective metal roof installations and coating application. Without special coats, the immense conduction will indeed be one of the biggest disadvantages of metal roofs. 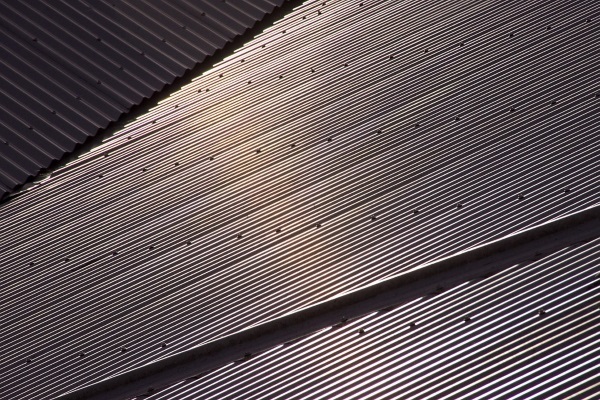 Materials used for metal roofs come from recycled scrap. In fact, most manufacturers use 95% recycled content in their products. Of course, manufacturers reinforce these products with their self-made formulas. Additionally, manufacturing techniques give their roofs the amazing advantages they provide. However, all metal roofing products are 100% recyclable by the end of their lifespan. Therefore, if you want an environmentally-friendly roof, metal roofs are an excellent choice. However, metal roofs aren’t as invincible as most believe. They have their respective vulnerabilities just like any other roofing material. If you can invest in them, always choose metal roofs. They have the best durability and lifespan. One of the disadvantages of metal roofs is its cost. Metal roofs will cost twice or even three times the value of other roofing materials. However, the advantages outweigh these costs. You can consider metal roofs as a huge investment. However, make sure you’re ready to face this big financial commitment for the betterment of your property. Unlike asphalt roofs, single-ply membranes, and shingles, metal roofs are great sound conductors. Therefore, even light rain showers will ring loudly inside any property. The situation gets worse with strong hailstorms. However, this is just a small price to pay for better and durable roofing. While not a severe disadvantage of metal roofs, it may not be suitable for some property owners. Just like siding, metal roofs react to temperature. They expand and contract. If contractors fail to install them properly, the contractions will reduce the lifespan of the material. In addition, the movements will dislodge screws and fasteners. In turn, this will weaken your entire roof system. Metal roofs need “breathing” space. If you see some nails dislodged even without any rain, call a reliable contractor for quick solutions. Indeed, this is a manageable disadvantage of metal roofs. Some metal manufacturers custom-create metal parts to suit residential properties. One disadvantage of metal roofs without coats: they glimmer and shimmer like warehouses. Metal roofs will give your home an industrial feel if you do not purchase its accompanying specialty protective coating. While it does drive the material cost further up, it gives you better aesthetics. In addition, the coating introduces added UV protection and material durability too. Residential metal roofs are another aesthetic matter altogether. Except for aluminum, metal roofs are not excellent beachside property roofing. High salt air environments will corrode metal materials the closer they are to the source. This is a huge disadvantage provided aluminum is a greatly expensive material. Residential and commercial properties along the beach must consider using aluminum alone if they still want metal roofing. However, any contractor will strictly advise against using other types of metal roofs for these properties. The advantages and disadvantages of metal roofs are a testament to its well-balanced nature. Just like any other roofing material, it is important to consider the location, climate, and structure of the property to maximize metal roofs. Installation is a crucial point capable of extending the life of metal roofs. Therefore, only use the most reliable roofing contractors for your roofing installation. A Guide to Metal Roofs for Residential HomesResidential Flat Roof: What is the Best Material?